Lift load unload and palletize with this electric scissor cart featuring a load capacity of up to 1500 lbs. and key-operated on/off controls for added security. 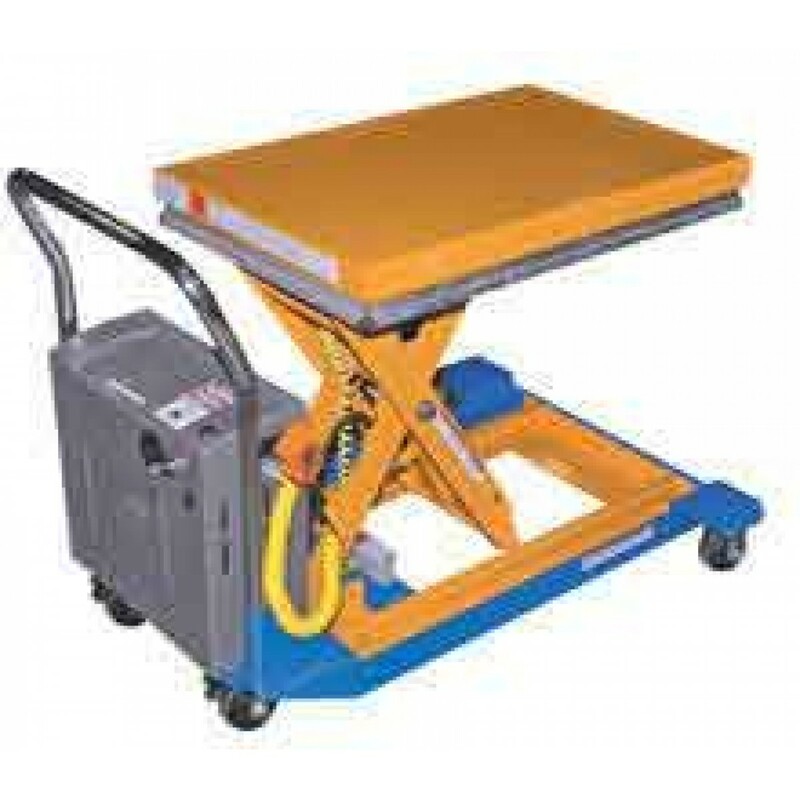 The Vestil CART-23-15-DC DC Powered Scissor Cart is powered by an internal DC powered electric motor and a 12V battery. Perfect for lifting, palletizing, loading and unloading applications. Service Range: 11-1/4" to 32"
Platform Size: 24" x 36"
Equipped with 2 rigid and 2 swivel 4" x 2" phenolic casters with brakes. Comes standard with push button controls located on the power unit and a hand control. Unit features a key-operated ON/OFF control for increased security. OSHA compliant pinch-point guards are located on the perimeter of the platform. Includes a built-in battery charger.